Many of us have had that feeling – it’s a pit in your stomach- when you’re driving on the highway and you’re suddenly surrounded by large semi-trucks. Even though you know most truckers are fine drivers, it only takes one to be sleepy, distracted, or worse, and suddenly there’s a crash of enormous consequences. Although truck-related collisions represent a small portion of the total amount of crashes reported daily, the fact that trucks have a much heavier mass than cars means that these collisions typically cause greater damage as well as an increased chance of injury. Who is liable in a tractor-trailer crash? An experienced truck accident attorney can help investigate your crash to determine who is responsible for the accident. Driver inattention can occur for a number of reasons and it is one of the largest causes of truck and vehicle accidents. Cell phone use is a major problem on Texas roadways, but it’s not the only distraction available to drivers. A trucker’s cab is akin to a studio apartment on wheels for many drivers. It’s not uncommon for drivers to eat or drink while driving, which is another major source of distraction. It only takes four seconds of inattention to cause an accident. Equipment fails from time to time, but when it fails while driving the result can be horrific. Tires are the most common piece of equipment to fail, but brake, engine, and light failures frequently occur as well. When equipment fails there may be negligence involved. Parties that could be responsible for equipment failure include the truck manufacturer, the part manufacturer, the truck dealer, and even a mechanic or installer if repairs were made. Sometimes the manufacturer or installer is to blame for equipment failure, but other times it’s the result of poor vehicle maintenance. Commercial trucks drive thousands of miles every day and require routine checkups to ensure everything is working properly. Worn brake pads or cracks in the windshield can become major problems if left unattended to. Drivers have the responsibility of inspecting their rigs and submitting a vehicle maintenance report at the beginning of every shift. Truckers and loading teams are required to abide by cargo securement rules set forth by the Federal Motor Carrier Safety Administration. The rules specify weight, width, height, size, and length limits along with outlined methods for securing cargo for transportation. If cargo isn’t properly loaded in accordance with these regulations, it can fall off into the road leading to catastrophic accidents. Drivers must complete a training course and obtain a commercial driver’s license before commanding the wheel of a truck. Still, there is a learning curve even after training is completed, especially when it comes to driving in poor weather conditions. An inexperienced driver may skid, hydroplane, or jackknife in conditions of heavy rain, snow, or ice. Unfortunately, truck companies can sometimes put policies or schedules in place that encourage unsafe driving behaviors. Trucking companies are notorious for paying truck drivers by the mile, rather than by the hour. The pay-per-mile system in combination with tight shipping schedules encourages drivers to maximize their driving distances at a cost. A driver may drive despite being tired or may ignore posted speed limits, which both increase the risk of an accident. At the end of the day, truck drivers are only human and they occasionally make mistakes like everyone else out on the road. Unfortunately, something as simple as forgetting to use turn signals or check blind spots can be deadly. Head injuries can range from mild concussions to severe traumatic brain injuries. The former can fade in a day or two, while the latter can result in significant personality changes or death. Head injury symptoms may take time to develop and brain injuries can be sustained without being knocked unconscious. In fact, brain injuries can occur without direct trauma to the head. Rapid acceleration/deceleration and whiplash can lead to damage of the brain. Head injuries should not be taken lightly, as they can lead to loss of cognitive and motor functions. It’s possible a person may never be the same again after sustaining a serious head injury. Our neck and back perform critical roles in everyday movement, which can be severely restricted in the event of a neck or back injury. These types of injuries often prevent victims from being able to perform work or other important daily activities. Herniated disks and whiplash are some of the most common road accident back and neck injuries. More severe back injuries can result in debilitating pain or paralysis. The impact from an accident typically provides more than enough blunt force trauma to shatter bones. Hip bones are the most commonly fractured bones in an accident. Arm, rib, and leg bones are also commonly broken in crashes. In certain unfortunate cases, arms, legs, hands, or feet may be severed or amputated in the aftermath of a catastrophic impact. Amputation may occur in cases where body parts are crushed or burned so severely that circulation will never be restored. Tractor-trailer collisions carry a greater risk of spinal cord injury and paralysis in comparison with auto accidents, because of the larger impact force. Damage to the bones, muscles, or nerves in the spinal cord can result in temporary or permanent paralysis. Damage to the spinal cord isn’t always immediately apparent and truck accident victims should seek immediate medical attention to receive an MRI scan. Sadly, more victims will die in truck accidents in the span of a year than the number of deaths for all domestic commercial airline crashes in the past 45 years. Truck collisions are far more likely to lead to death due to the severity of impact. The ribcage surrounds a number of vital organs, which makes them extremely important to protect. Broken ribs are not only extremely painful, but severely limit a victim’s ability to take deep breaths as well. An untreated broken rib could puncture a lung or cause other severe damage to the body. 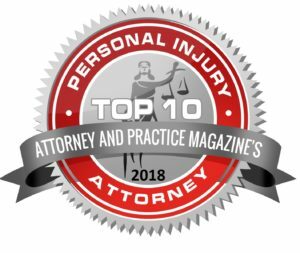 When you combine the blunt force of an 18-wheeler collision with the body’s interaction with certain safety equipment, the result could very well be internal damage. Seat belts and airbags save lives, but the sheer force of impact can damage internal organs such as your kidneys, spleen, bladder, liver, and pancreas. Internal injuries can be difficult to treat and may lead to life-long physical limitations. Cuts and lacerations are often minor compared to many of the other injuries on the list. However, cuts can cause disfiguring scars and may also lead to infections, which could result in serious injury or death. Permanent damage may arise depending on the depth and severity of a cut. Burns are more common in commercial trucking accidents than auto accidents, because there is a greater inherent risk of fuel tank rupture. First degree burns and certain superficial partial thickness second degree burns can heal completely. More severe burns can cause scarring, disfigurement, and even nerve damage. Thankfully, traffic fatalities have decreased throughout the nation. Unfortunately, that is not the case in Texas. According to the National Highway Traffic Safety Administration, Texas ranks very poorly in road safety compared with most other states. On record in 2014, there were close to 33,000 fatal car crashes in the U.S., and more than 10% of those occurred in the state of Texas. 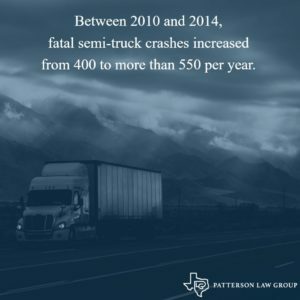 According to research, Texas has the largest number of fatal crashes involving large trucks, and this number continues to increase; between 2010 and 2014, fatal semi-truck crashes increased from 400 to more than 550 per year. Population: Since Texas has some of the most populated urban areas in the United States, semi-trucks are forced to drive through heavy traffic in crowded areas, which leads to a higher risk of truck-related traffic collisions. Geography: Due to its central position in the country, essentially acting as a link between the eastern and western United States, a vast number of supply and delivery trucks must pass through Texas. Also, since Texas is bordered by the Gulf of Mexico, an enormous hub for import/export related traffic, Texas highways are full of trucks moving products and equipment toward and away from the southern border. Fracking and Oil Drilling: Both the fracking and oil industries have experienced booms since 2008. Researchers say that vehicle fatalities in Texas started growing the very same year, since increased truck traffic has correlated with the industry’s growth. Along with these laws, our dedicated and resourceful team at Patterson Law Group are working tirelessly to make Texas residents safer. 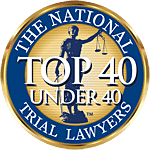 In fact, one of our clients received $500,000 in his pocket in a recent personal injury case where his shoulder was injured as a result of being struck by an 18-wheeler. 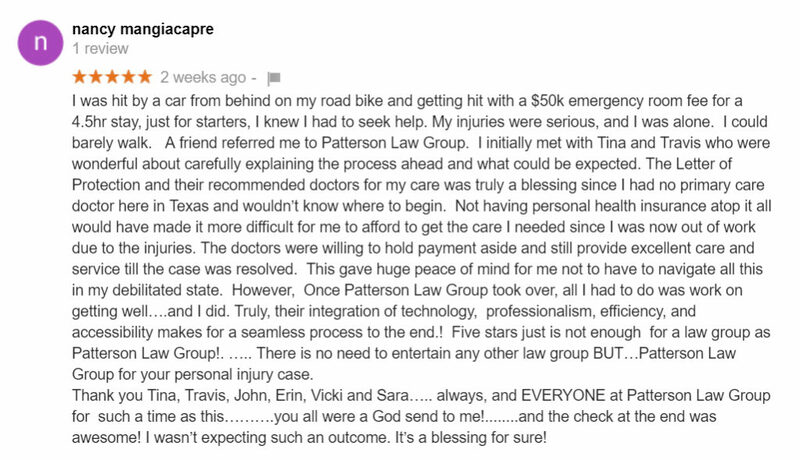 Below is a review from one of our previous clients, Nancy. Give us a call today at 817-784-2000 if you’ve been involved in a truck-related collision in Texas. Can the shipper be held liable if the hazardous materials being shipped on the truck caused injury? An empty truck is dangerous in and of itself. A truck carrying hazardous materials only increases the risk of serious injury in an accident. Hazardous materials could include flammable liquids, radioactive materials, explosives, dangerous gases, and poisonous chemicals. In certain cases, the shipper of hazardous materials can be held liable for resulting accident injuries, especially if the shipper failed to inform the driver or the trucking company of the hazardous nature of the shipped goods. What laws apply to truck drivers that may apply to my case? What kind of trucks are involved in accidents? Ultimately, any type of truck can be involved in an accident. Common truck types include semi-trailers, dump trucks, garbage trucks, tanker trucks, flatbed trucks, and tow trucks. Naturally, the larger the truck is, the higher the risk of serious injury in an accident. I’m not a Texas resident, but my truck accident happened in Texas. 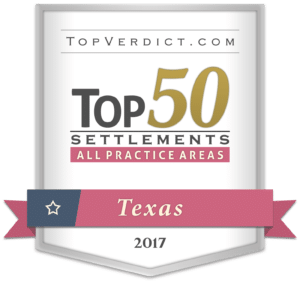 Do I hire a Texas lawyer? When an accident occurs outside of the state you reside in, the claims process can get complicated. Jurisdiction laws typically require that you file a case in the state where the accident occurred. Moreover, unless a limited law license is granted, an attorney must have admittance into the Texas state bar in order to practice law in Texas. 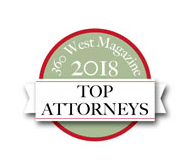 A Texas attorney in good standing with the state bar will already be prepared to handle your case and will be more familiar with local and state laws. Are any measures being taken to decrease Texas truck collisions? Since trucks serve an increasingly important role in our commerce-driven society, the Federal Motor Carrier Safety Administration (FMCSA) has imposed very strict rules on truck drivers, tractor-trailers, and the trucking industry as a whole. No More Radar Detectors: Since studies have demonstrated that truck drivers using radar detectors exhibited a tendency to speed, all trucks weighing more than 18,000 pounds are prohibited from carrying a radar detector inside. No Transporting Unauthorized Passengers: Even though it may be tempting for long-haul drivers to carry unauthorized passengers, such as family members on the lonely road ahead, FMCSA has declared it a safety hazard since this type of distraction may cause serious crashes. However, drivers can have co-drivers with written authorization from the trucking company beforehand. No Talking on Mobile Phones: Although nearly 50 percent of the states in the U.S. still permit drivers to use handheld devices while operating a vehicle, in regards to truck drivers, there is a federal ban on the use of ALL handheld cell phones that supersedes individual state laws. No Texting While Driving: As stated under FMCSA’s no-texting rule, all truck drivers are banned from sending email, using voice commands, opening web pages, reading or sending text messages, or touching more than one button to send or receive phone calls. If caught breaking this law, a truck driver can be charged more than $2,500 for each individual offense while truck companies could be forced to pay fines over $10,000 per each cited violation. Where are the most dangerous intersections in Fort Worth? We believe education is a powerful tool to prevent more accidents. If drivers know the most dangerous streets and intersections, we can all be more cautious while driving there. There have been over 40,000 accidents in Fort Worth over the past 6 years, and we took the time to review them all & create this interactive map.